Lorde has praised Run The Jewels for their remix of her hit 'Supercut'. The 21-year-old star couldn't contain her excitement over the hip hop duo - who will be joining her on the US leg of her 'Melodrama' world tour - putting their own twist on the song, which was included on her second studio album last summer. The New Zealand native has shared the track with her mailing list this week and gave it her definite stamp of approval. She wrote: "I love it. So much. My little nerd heart is full." The 'Green Light' singer heads out on the road today (01.03.18) with the duo - comprised of rappers El-P and Killer Mike - and they'll also be joined by Mitski and Tove Stryke. Writing to her fans, she revealed how excited she was to play her "biggest" headline shows. She said: "Really love this show - it's so different for me. We've never played arenas before, and this is by far my biggest show in each city we're visiting, which is awesome. "Pretty cool to think about us being in tiny clubs and theatres for Pure Heroine, and now I have a little Razor scooter to get me around the venue lol! (sic)"
It comes after the 'Royals' hitmaker quashed rumours she is dating Jack Antonoff during a live Instagram stream last month. She commented on growing speculation she is romancing the producer - who recently split from Lena Dunham - by stating that whilst she thinks he's "awesome" the pair are not dating. 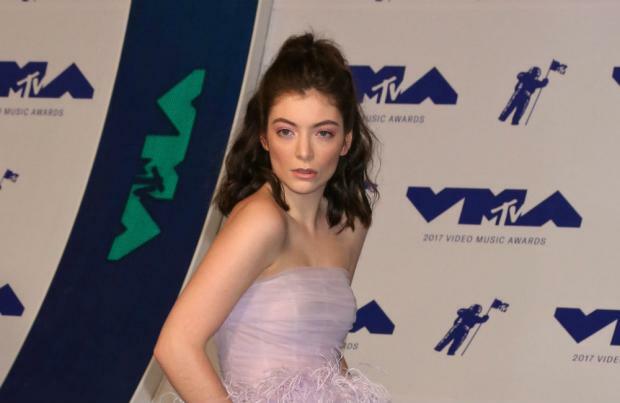 When one fan asked if she was in a relationship with 33-year-old musician, Lorde - whose real name is Ella Yelich-O'Connor - said: "Guys, no! Jack and I are not dating ... I love him. He's awesome, but we're not dating!"